Harper’s Weekly magazine was hugely popular thanks to its extensive use of illustrations, and its broad editorial content. By the end of 1861, Harper’s had a circulation of 120,000 and became one of the leading magazines of the Civil War period. 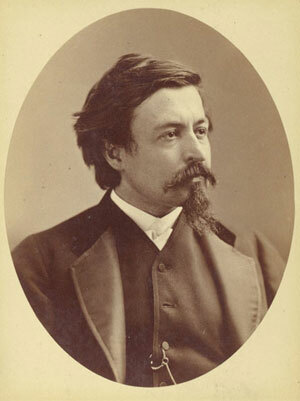 Thomas Nast (1840-1902) joined the staff of Harper’s in 1862, and rose to prominence for his battle front depictions. 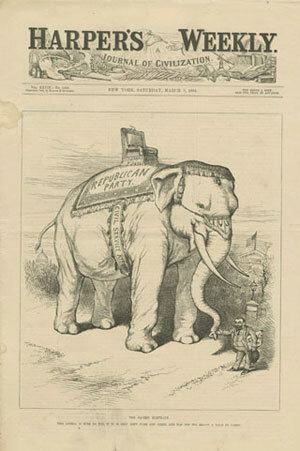 As a liberal, progressive paper, Harper’s supported President Abraham Lincoln, the preservation of the Union, and the Republican Party. 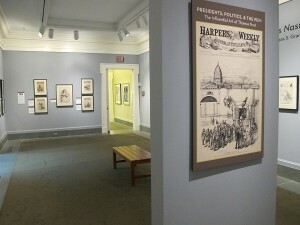 A view that Nast also held strongly. 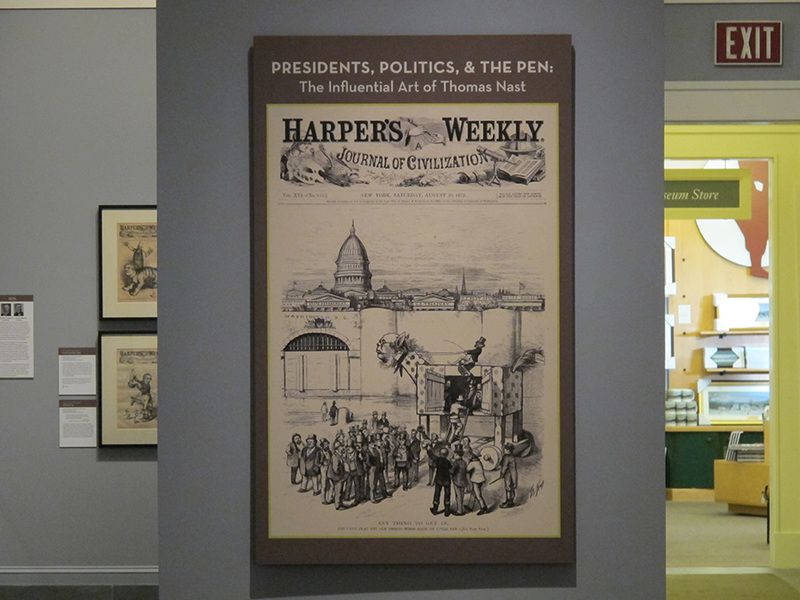 With Harper’s as his platform, Nast effectively used satire and masterful caricatures to hold candidates accountable for the issues of the day, which included the economy, political corruption, immigration, and civil rights. 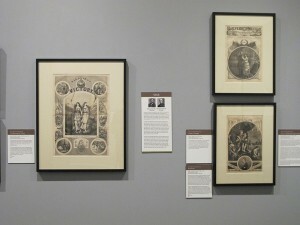 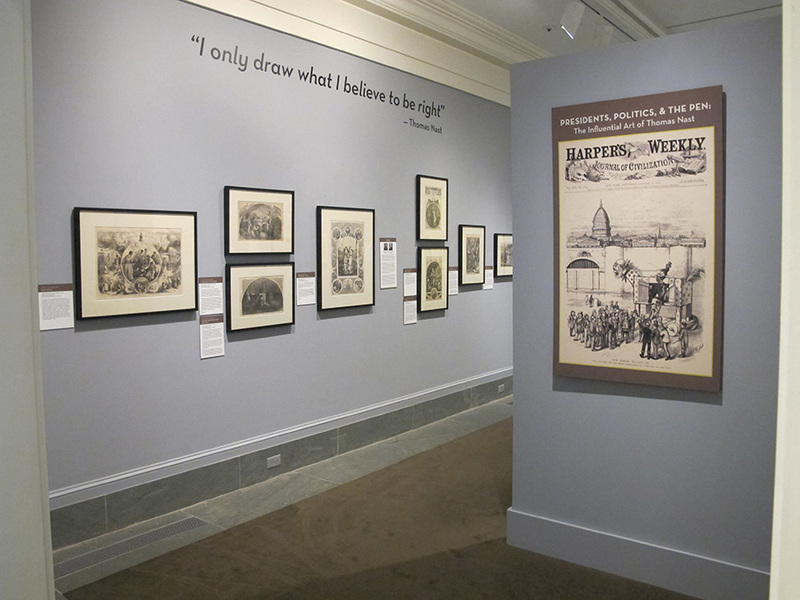 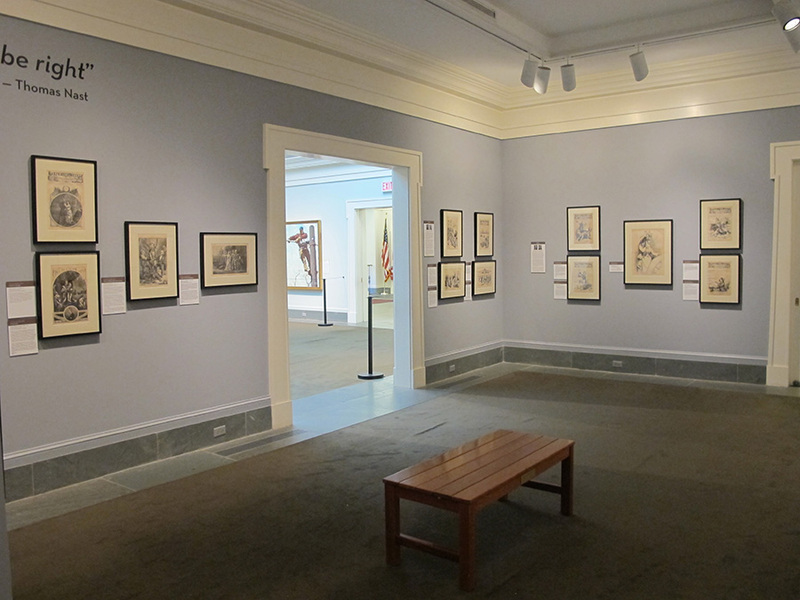 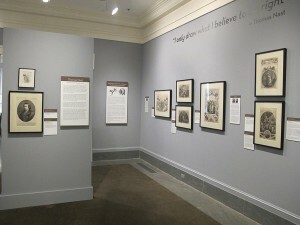 Although Nast lacked formal education, he was extremely adept at incorporating allegorical, symbolic, and literary references into his detailed pictures as a way to explain the complex, political issues to Harper’s readers. 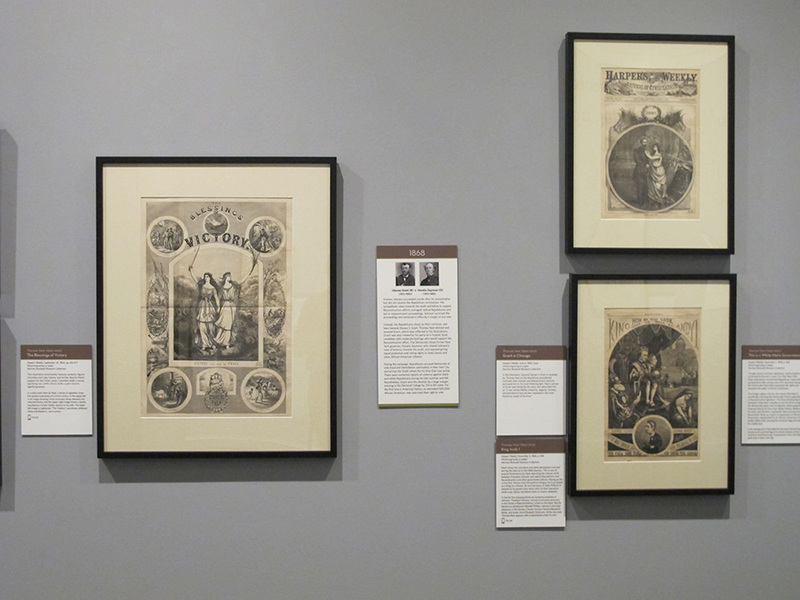 His representations of the donkey and elephant helped to solidify the enduring images as symbols for the Democratic and Republican parties, respectively. 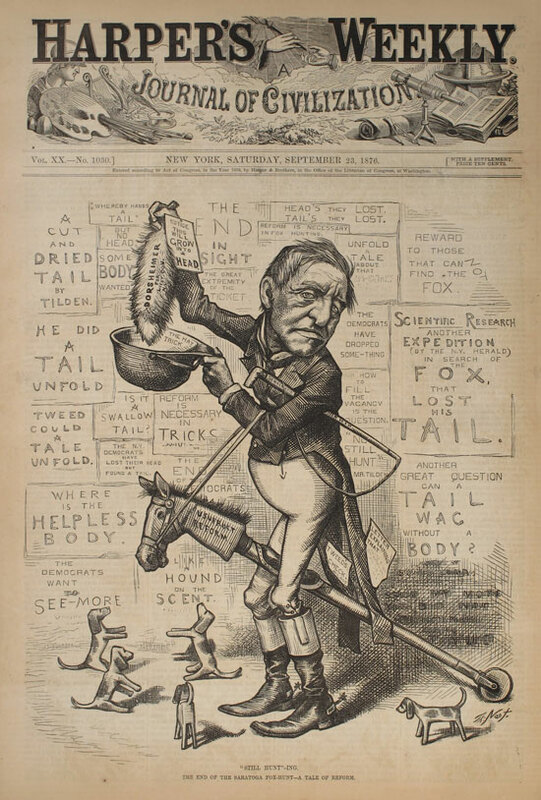 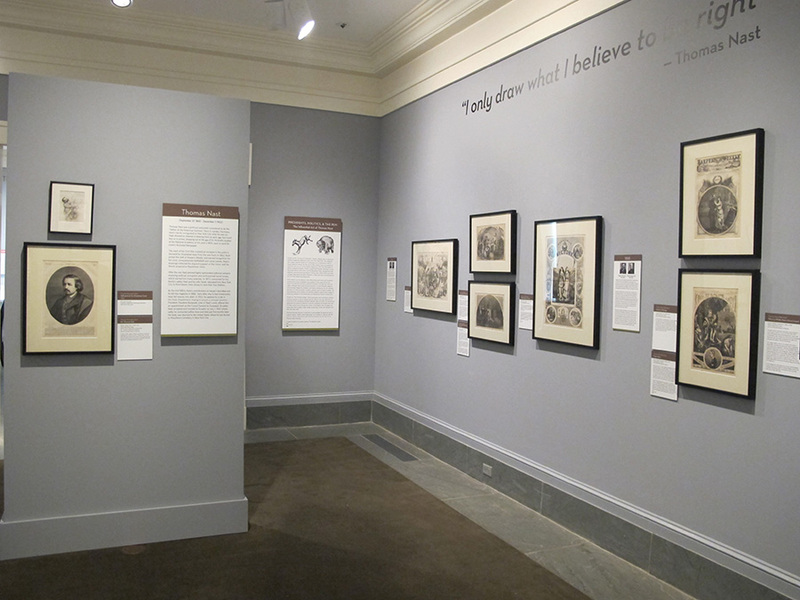 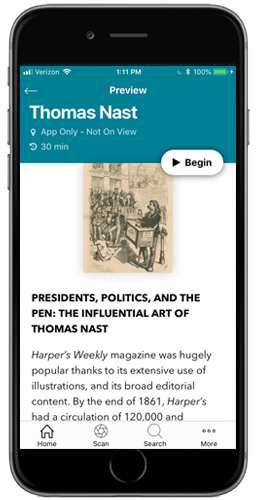 Known as “The President Maker,” Nast’s persuasive, and sometimes scathing, cartoons proved crucial in influencing the nation’s vote and affecting the outcomes of six presidential elections between 1864 and 1884. His illustrations supported the cause he believed was just, and the candidate he thought was best. 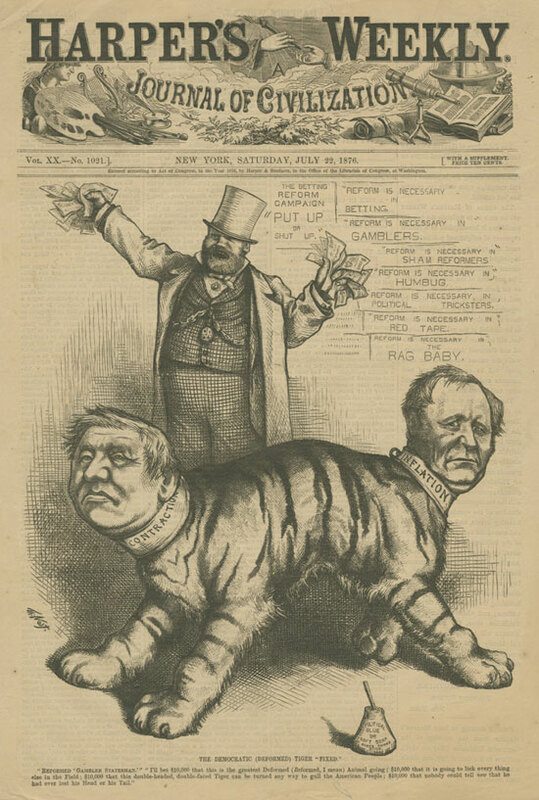 While the names on the ballots have changed, the issues remain surprisingly similar more than 100 years later. 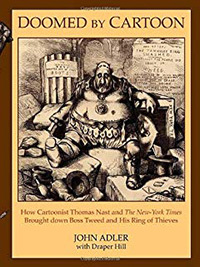 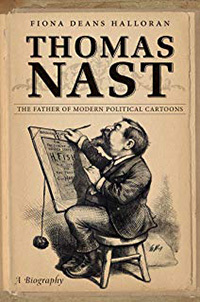 Thomas Nast (September 27, 1840 – December 7, 1902) was a German-born American caricaturist and editorial cartoonist considered to be the “Father of the American Cartoon”. 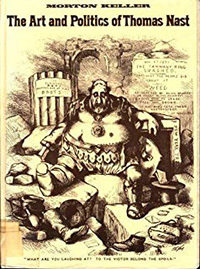 He was the scourge of Democratic Representative “Boss” Tweed and the Tammany Hall Democratic party political machine. 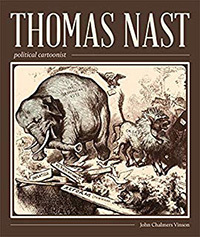 Among his notable works were the creation of the modern version of Santa Claus (based on the traditional German figures of Sankt Nikolaus and Weihnachtsmann) and the political symbol of the elephant for the Republican Party (GOP). 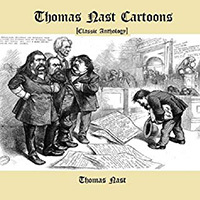 Contrary to popular belief, Nast did not create Uncle Sam (the male personification of the American people), Columbia (the female personification of American values), or the Democratic donkey, though he did popularize these symbols through his artwork. 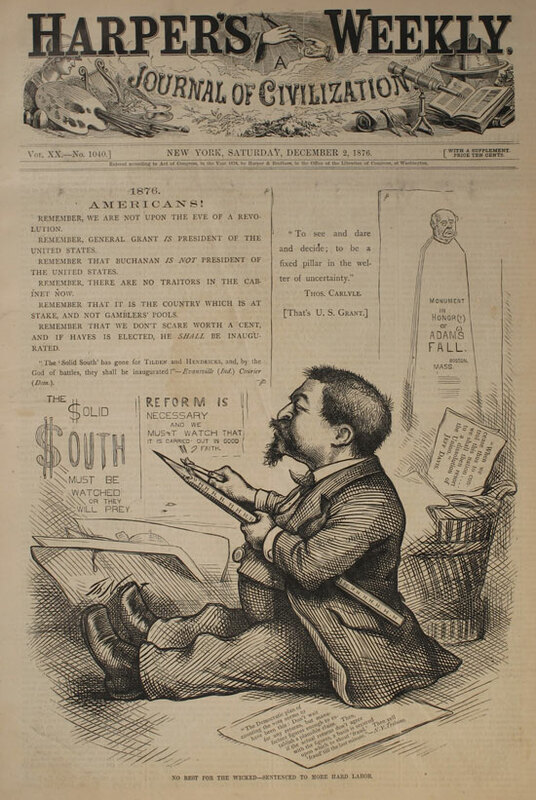 Nast was associated with the magazine Harper’s Weekly from 1859 to 1860 and from 1862 until 1886. 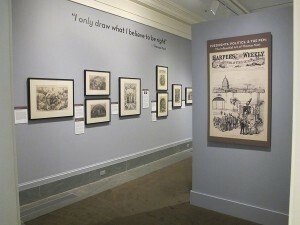 There are currently no related events for this exhibition. 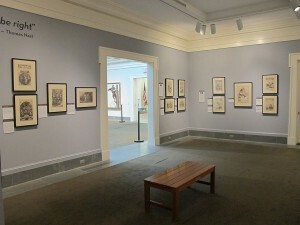 Environment: Light level -18 to 22 foot candles for paintings and 5 to 7 foot candles for works on paper and other light restricted objects. 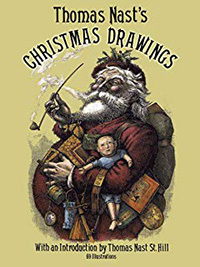 Humidity -50% plus or minus 5% and temperature 68 – 72 degrees, no direct sunlight and no direct contact with light fixtures or heating, air conditioning, ventilation, or electrical outlets.